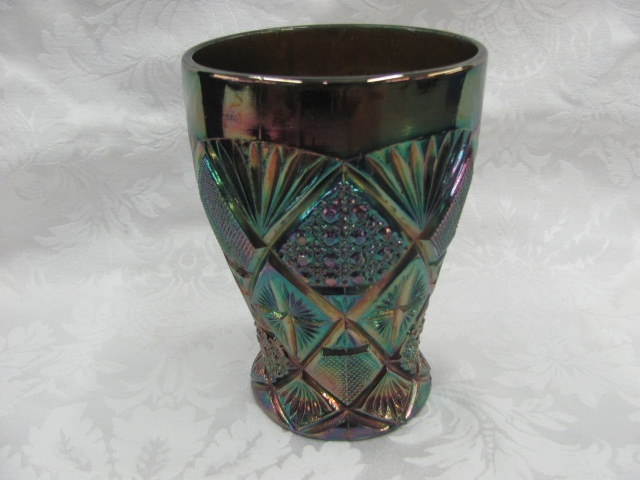 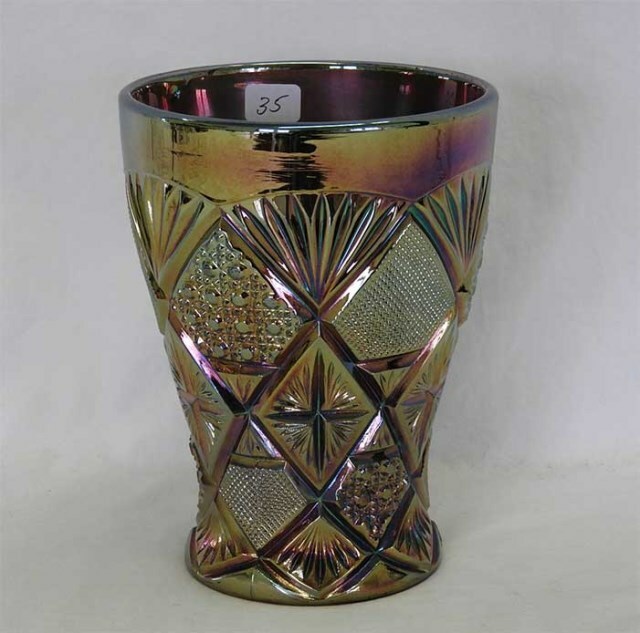 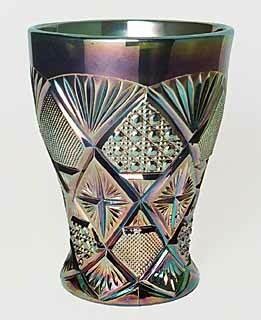 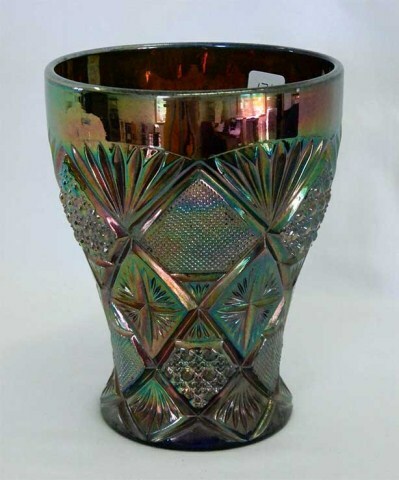 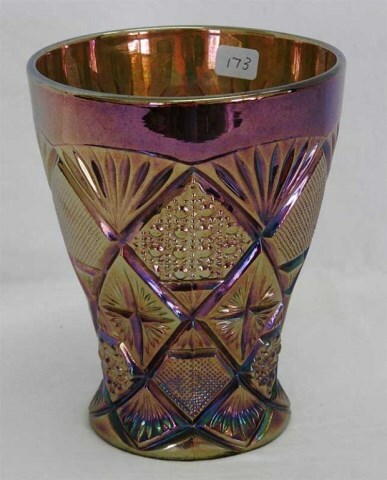 Dubbed Texas Tumbler or Texas Shot Glass, these 6-inch tall celery vases are quite likely part of the same Brockwitz pattern, Northern Lights. 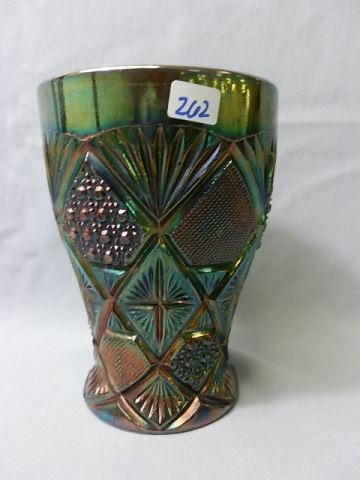 Blue examples like this one sold for $300 and $400 in 2001, for $95 and $350 in 2012. 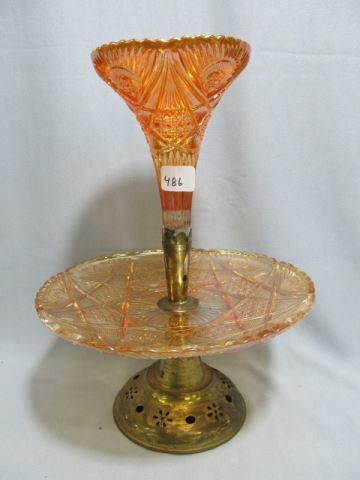 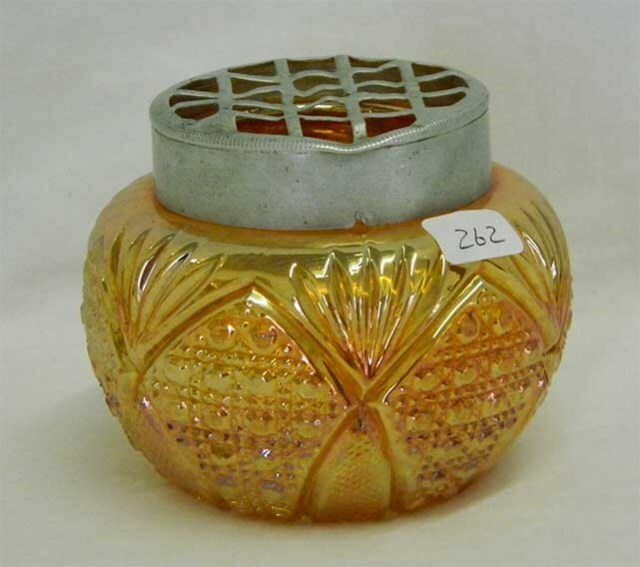 A marigold example brought $350 in 2002; another in marigold sold on eBay in 2005 for $204.